When social robots move from the lab to the real world, they need to interact with and learn from humans. We need learning techniques to program social robotic behavior and allow them to learn from ordinary people who do not have technical expertise in autonomous agents. To this end, we need to develop methods to enable people to teach agents how to act in complex decision problems, with as little additional effort as possible, e.g., learning from human evaluative feedback, learning from demonstration, advice, learning from the wizard etc. A large proportion of complex social behaviors exhibit hierarchical structure in nature, which means that the behavior is composed of interrelated sub-behaviors. Hierarchy can simplify complex behavior learning and make the task of learning more efficient. For example, many complex behaviors that have hierarchical structure can be broken down into sub-behaviors, which can often be learned more easily. The learned sub-behaviors can be recombined to provide the solution for the original complex behavior learning problem. The decomposition can make finding the final solution significantly more efficient with improvements in the time and space complexity for both learning and execution. To successfully implement a machine learning system, robot designers must make several preliminary decisions, e.g., extracting or selecting useful features. Social reinforcement learning has been limited to domains in which useful features can be handcrafted, which also requires the agent designer to be an expert in the domain. For example, setup usually requires choosing a representation for the solution, selecting relevant inputs, etc. Performing these tasks is time-consuming and may yield sub-optimal results if not done correctly. Moreover, it may be impossible to handcraft features. Therefore, end-to-end learning methods that can learn the representation from raw sensory inputs and how to behave from human interactions are important. Rigorous formulation of a mathematical framework that facilitates estimation of the duration and other temporal properties of an unfolding activity. To this end, novel observation models are devised that decompose and process an activity, on the basis of generic motion patterns. Accordingly, predictive estimation is accomplished via mere observation of an activity, eliminating restrictive assumptions regarding the activity structure. 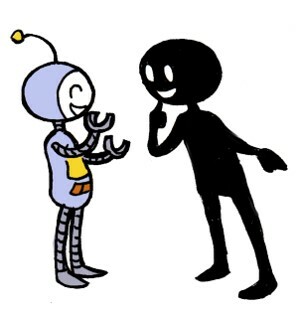 Human-robot interaction requires the two sides to coordinate their activities in order to better accomplish common goals. To enhance the interaction experience, a novel planner has been introduced, namely Daisy Planner, that is specialized in formulating optimal short-term plans based on the current state of the world and the occurred unexpected events, the ongoing activities and the emotional state of the participating agents, the inter-associations and the expected times for the completion of the requested tasks. The development and utilization of ground and aerial robots that can assist humans in dull, dirty and dangerous tasks incorporates social as well as physical challenges. We will enable such robots to explore and interact with the physical environment by developing novel dexterous manipulators, physical interaction and co-manipulation control strategies, perception systems and planning intelligence. We will further enable our robots to be aware of human vulnerabilities and need for safety, to communicate with humans about the environment and task, and to collaborate on the task with other robots and humans. These capabilities will be developed for various contexts, including industry, home, again, and other hard-to-reach infrastructures. Design and development of biorobotic applications via soft actuation technologies for reproduction of biologically-inspired life-like motion performances. Ultimate goal is the future use of innovative equipment for the undertaking force-intensive motion scenarios via implementation of robotic exoskeletons for rehabilitation and augmentation purposes. Most, if not all, human cognitive mechanisms play a role in the social interaction with other agents. By building a cognitive architecture that is fundamentally social, we also build on the knowledge and expertise in cognitive science: How do humans perceive social agents? What factors facilitate interaction? Not only does this lead to a robot that it is fundamentally social in its behaviors, it might also help us learn a little more about ourselves.